The World Heritage Site “Völklinger Hütte“ is a gigantic ironworks from the iron industry’s heyday and definitely one of the more unsual of UNESCO World Heritage Sites. It was closed down in 1986 and became a listed building. „Völklinger Hütte“, founded in 1873, is now the worldwide only remaining ironworks from the iron and steel industry’s heyday. An exciting cultural destination of the 21th century that is not only of interest for industrial history buffs! On over 600.000 square metres visitors can explore the former work place of the ironworkers. Visitors can climb up to the 40 metres high viewing-platform of the blast furnace group. The worldwide only skip hoist or 6000 square metres blower plant are further highlights while touring this gigantic industrial plant. Over 5000 metres of walkways make your visit easy and convenient. In the ScienceCenter Ferrodrom the exciting world of iron and steel and the four elements of fire, water, earth and air become real. Over 100 interactive displays invite visitors to experiment and experience for themselves what it is all about. Just imagine. Once, there were giant chimneys smoldering and defeaning noise. Now, you can visit top-notch exhibitions and concerts. 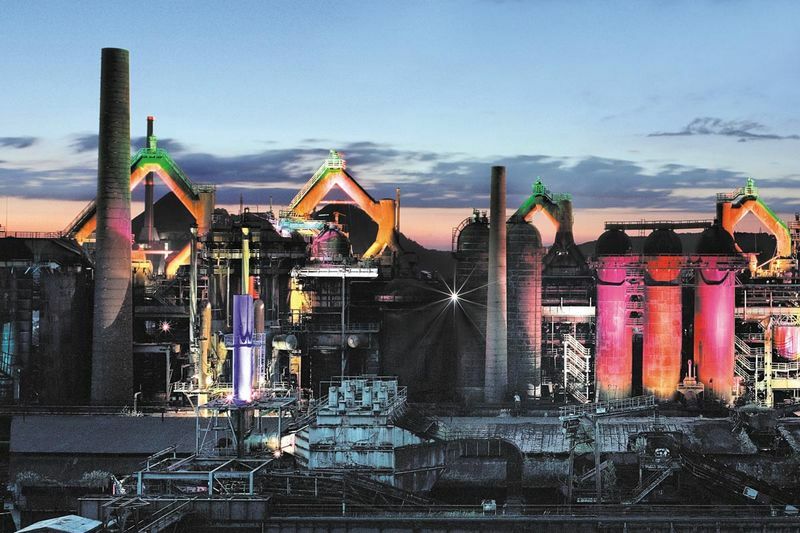 The World Cultural Heritage Site of the Völklingen Ironworks has become one of the most popular cultural destinations of the region. Unique exhibitions brought over 2,5 million visitors to the World Cultural Heritage Site in the past 10 years. Every year the visitors can explore up to three exhibitions in the special atmosphere of the Word Cultural Heritage Site Völklinger Hütte.